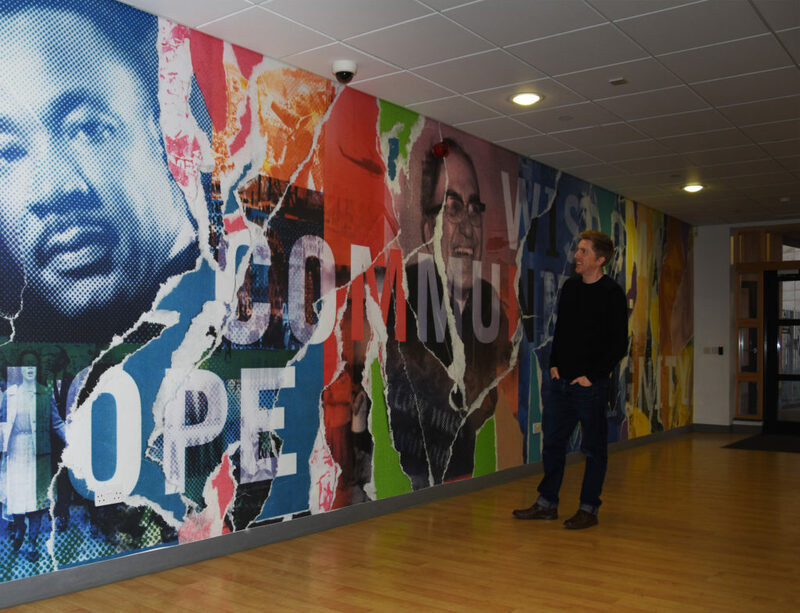 The Nottingham Emmanuel School, asked Jonny Norridge to create a large scale artwork for their central corridor which would depict the schools “house heroes” and their core value words (‘hope’, ‘community’, ‘wisdom’ and ‘dignity’). The wall-space measures over 9 meters in length and 2.5 meters in height. 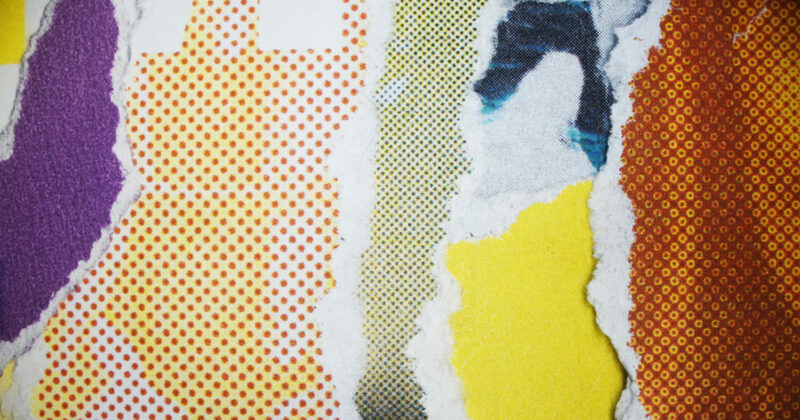 The final piece was create as a collage of digitally manipulated images relating to the heroes. The value words boldly fill the width of the artwork. 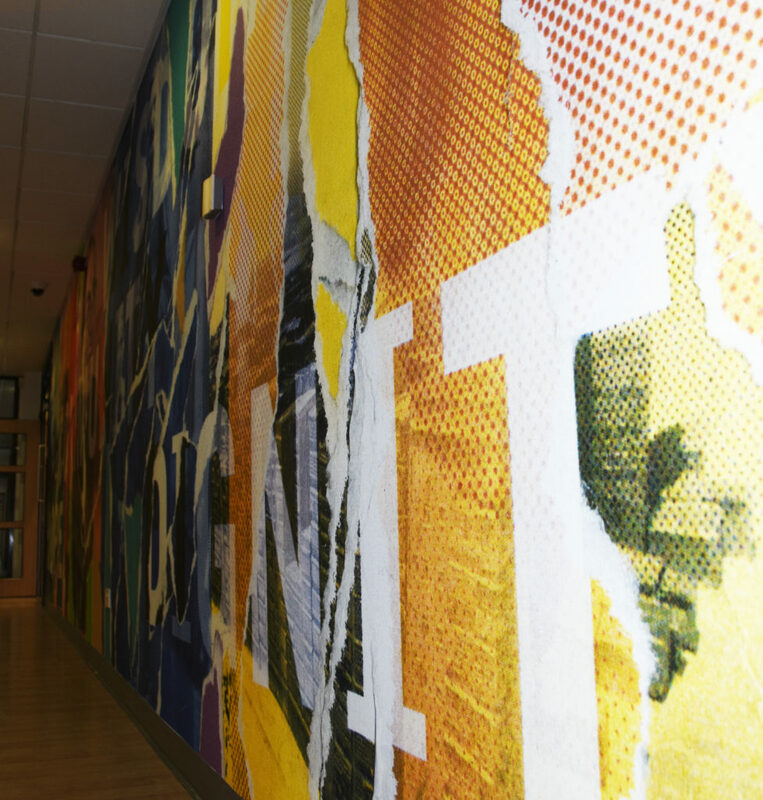 The college invokes a wall of ripped posters — the visual language featured on streets across the cultures represented by the heroes. 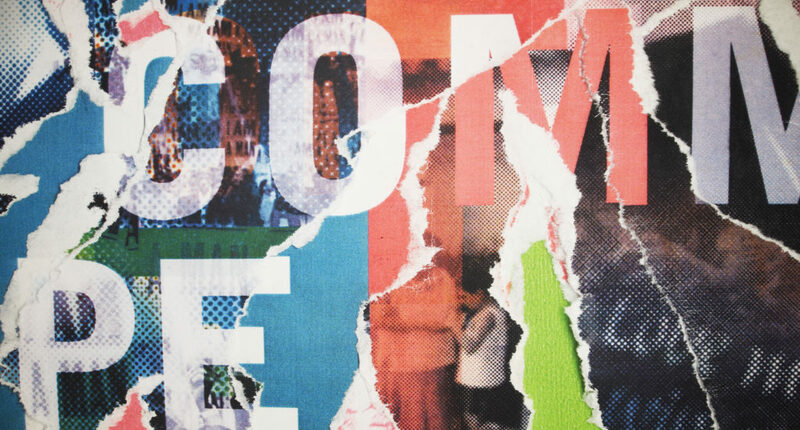 The value words and the heroes persist through the layers of ripped posters — expressing their their lasting value and enduring relevance through many years.